Four more African nations joined the India-initiated International Solar Alliance (ISA) on 22 May, taking the number of its members to 30. While Djibouti, Cote d'Ivoire, Somalia and Ghana signed the ISA framework agreement, the island nation of Comoros is expected to sign and submit its ratification instrument on Tuesday, said the External Affairs Ministry. During the upcoming visit of Mauritius' Prime Minister, it will be signing and ratifying the framework agreement on 27 May. The Pacific island nation of Nauru also submitted its instrument of ratification at an ISA event held on the sidelines of the African Development Bank (AfDB) annual meeting here. This is the first time that India is hosting the AfDB annual meeting after New Delhi hosted the India-Africa Forum Summit in October 2015. Finance Minister Arun Jaitley was present at the signing and ratification ceremony on 22 May. "We need energy while also protecting the environment. We in the tropics and sub-tropics have substantial resources for solar energy. The idea of ISA was conceived in 2015 between India and France and after today's agreement there will be a total of 30 countries to ratified," he said. 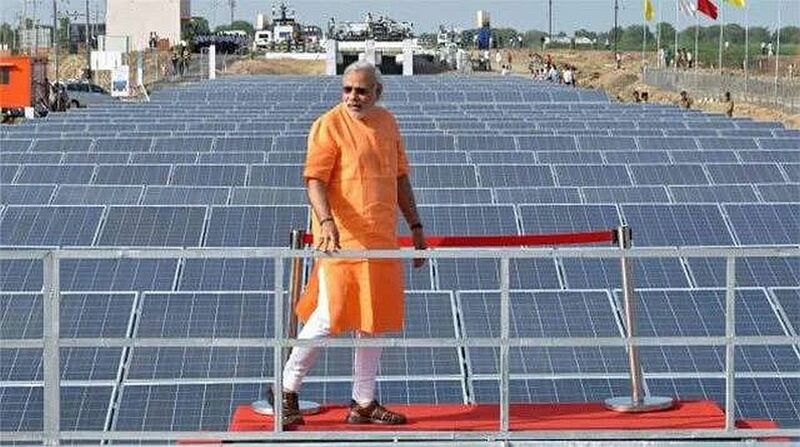 The ISA, launched at the UN Conference of Parties (CoP) climate summit in Paris on 30 November, 2015, by Prime Minister Narendra Modi and then French President Francois Hollande, is conceived as a coalition of solar resource-rich countries to address their special energy needs and provide a platform to collaborate on dealing with the identified gaps through a common, agreed approach. The International Steering Committee of the ISA, open to all 121 prospective member countries falling between the Tropics of Cancer and Capricorn, held its meetings in Paris on December 1, 2015, in Abu Dhabi on January 18, 2016, and in New York on April 22, 2016. The ISC held its fourth meeting in New Delhi on October 5 last year. A total of 24 countries – Bangladesh, Brazil, Burkina Faso, Cambodia, Democratic Republic of Congo, Dominican Republic, Ethiopia, Fiji, France, Guinea Bissau, India, Liberia, Madagascar, Mali, Nauru, Niger, Republic of Guinea, Senegal, Seychelles, Sudan, Tanzania, Tonga, Tuvalu, and Vanuatu – signed the ISA framework agreement in Marrakech on November 15 last year within 41 days of finalising the text of the agreement, the External Affairs Ministry said in a statement. Rwanda signed the Framework Agreement on January 9 this year, taking the total number of signatories to 25 countries. "Within seven months of the opening of the framework agreement for signature in November 2016, the total number of signatories to the ISA framework agreement have reached 31, with six countries ratifying the agreement," the statement said. "The ISA as a legal entity will come into existence once 15 countries ratify and deposit the framework agreement," it said. India and France were the first two countries to ratify the framework agreement. Fiji has also completed the ratification process and will deposit its instrument in the next few weeks, according to the ministry. The External Affairs Ministry has set aside $2 billion for solar projects in Africa out of India's $10 billion concessional line of credit (LoC) for Africa. The LoC will be extended to all those African countries that have signed and ratified the framework agreement.